What does one expect from a heat seal? Wide, narrow, shaped, or just seal or seal and cut? 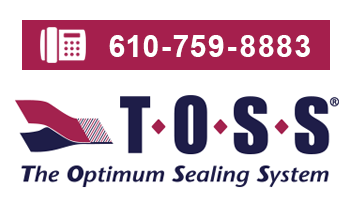 Before a satisfactory sealing system can be designed it is necessary to decide what seal configuration is desired. Is this to be a high integrity seal that will hold liquid under pressure or is a nominal seal good enough? High integrity seals with good appearance cannot be made as fast as nominal seals and as in any design problem, trade-offs must be made between cost (production rate) and performance. Some considerations follow. Most commonly, heat seals are made straight to create the side, top, or bottom of a bag or other package. Shaped seals can also be made to seal the top of containers, to join vacuum formed containers, or to produce shaped items like disposable garments or inflatable products. The width of the seal is usually a function of the appearance to be created or the need to resist the possibility of peeling open under stress. Some seals are designed to peel open for customer convenience or to open under pressure to permit mixing of products from one sealed chamber to another. Many possibilities exist, and it is important to understand the desired function and characteristics of the seal before proceeding. Wider seals tend to ensure the integrity of the seal and minimize the risk of leaking; however, in theory at least, a properly made seal that is wider than the material is thick should be as strong as the base material. Wider seals reduce the risk of leaking in the event the seal is imperfect; however, more power and greater jaw force is required to make wider seals. Seals, if not well made, may fail along the edge of the seal. The polymeric materials may be well bonded but the material may have been thinned out along the edge of the seal during the sealing process. This common failure is called a “zipper failure” and it is caused by excessive heat or pressure while making the seal or the use of the wrong Heatseal Band. The TOSS Tapered Band was developed to solve this problem. (See STEP 2. Heatseal Band Selection). Sealing liquid and slurry products can create difficulty, especially if the product is oily. Products that adhere to the plastic film surface in the seal area can interfere with the ability of the film structures to unite. Seals of this nature can often be better made by using a Heatseal Band with a crowned face such as the Reflex Band. As the TOSS Reflex Band presses into the film the product is squeezed out of the seal area thereby clearing the way for satisfactory bonding. Cut and seal is another option. This can be easily done with most simple films whereas composite film structures often contain barrier or structural materials that can only be cut with a knife. When using cut and seal bands like the Beaded Band, T-Profile Band, Custom Seal Cut (CSC) Band or a Tapered Band in conjunction with a “cold” Cut Wire, care must be taken to select the best combination of Heatseal Band, cover stock, and resilient pad for the opposing jaw. More about this later.